On July 1, 2012, Supreme Court Rule 243 will go into effect. This addition to the Illinois Supreme Court Rules will permit jurors in civil cases to ask questions of witnesses. While the practice was never specifically prohibited, and some judges took the liberty of allowing jurors to ask questions when counsel for both parties consented, the imposition of the rule may have a substantial effect on the way civil trials proceed. The rule works like this: during trial, once a witness has been questioned by both parties, a judge can decide whether to allow jurors to submit written questions to be asked of that particular witness. If the judge determines that juror follow-up questions are appropriate, then he will receive the written questions and they will be marked as exhibits and made a part of the record. Jurors will not be required to submit questions, but, if they choose to do so, they can submit multiple written questions. Next, outside the presence of the jury, the judge will share the questions with counsel for both parties and allow the attorneys to object to the admission of certain questions. Then, the judge will rule on whether the question should be admitted, stricken or modified in some way. Questions that are deemed admissible will be read to the witness by the court. The court will instruct the witness to limit her answers to the exact question posed. Counsel for both parties will be permitted the opportunity to ask follow-up questions of the witness. The new rule has been met with mixed sentiment. Some, such as the Illinois Trial Lawyers Association, hail the rule as innovative and believe that it will lead to better juror comprehension and will empower jurors by providing them with a voice during the trial proceedings. Similarly, Chief Justice Thomas Kilbride of the Illinois Supreme Court believes the rule will lead to increased juror comprehension of and attention to the evidence. 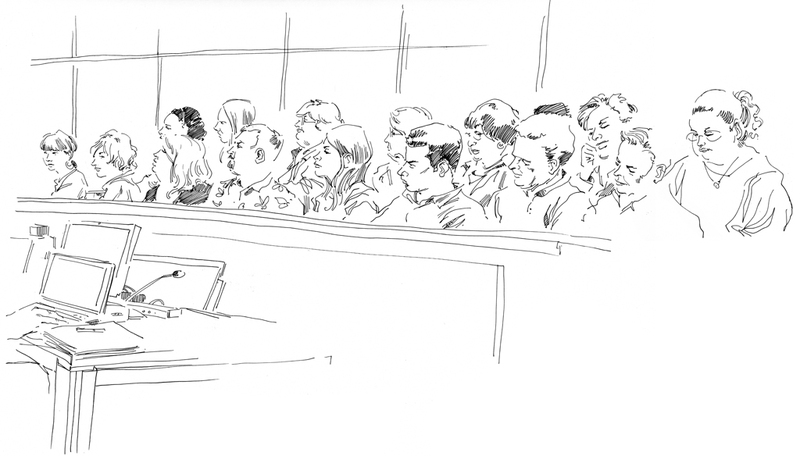 Some warn that the rule may lead to unwanted speculation by jurors into areas that were specifically prohibited during motions in limine due to their irrelevant or prejudicial effect on the legal issues before the jury.